The Revivalists perform at the Castle Theatre in Bloomington in March 2017. 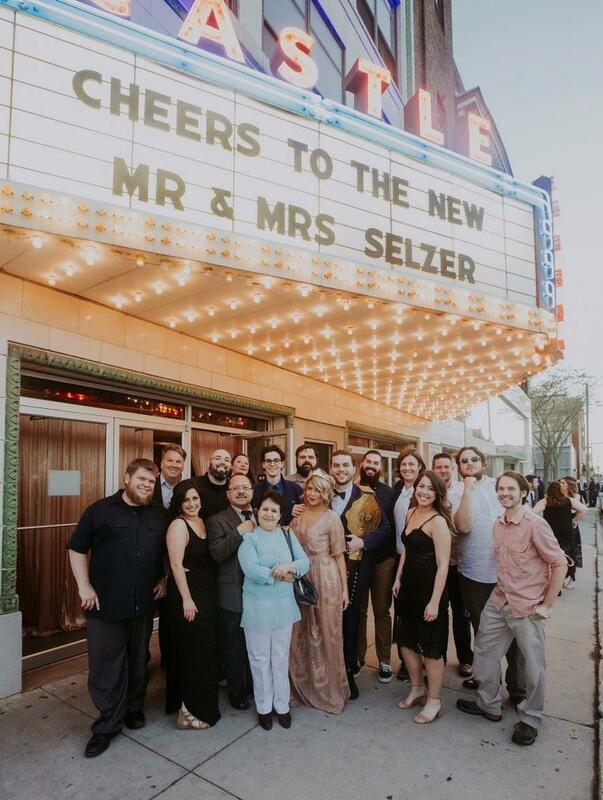 The once-dormant movie theater resurfaced as a music venue in 2011 under the guidance of a new ownership group consisting of four people, including Rory O'Connor. 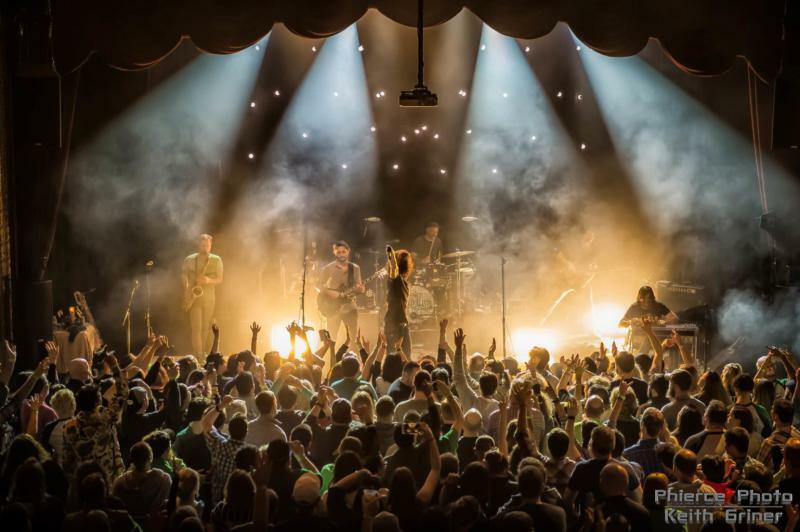 GLT's Jon Norton sat down with O'Connor on the second floor of The Castle to talk about why he purchased the venue and why he thought it would work as a live music room. Why did you want to buy the Castle Theatre? I was an owner of the (then Farmer City-based) radio station “The Whip” for about eight years, and had worked on shows for years with the station. Right before Ben Slotky had bought The Castle (2003) I was thinking it might be a good idea. I was a home builder at that time, so when the housing crises hit and the demand for new homes shrank, I said ‘I’ve got to do something else.’ I figured, why not do something related to the radio station and some experience I already had? So I revisited the idea of The Castle. It was closed at the time, so I tracked down the bank that was in possession of the building. I came in to look at it and showed it to some friends. They thought I was crazy. I didn’t though, so I made an offer to the bank and we were able to acquire The Castle in April 2010. The Castle staff, including Rory O'Connor (back row, far left), outside the venue in downtown Bloomington. How did you know this was going to work? I don’t know if I knew it was going to work, but I knew the space was good. My presumption was that (live music) was underserved. There wasn’t a lot going on in Peoria and Springfield. Of course you had The Canopy Club and other stuff going on in Champaign-Urbana. But our geography and being able to draw from all of central Illinois to a regional/nationwide room just made a lot of sense to me. At the time, Clearview Church was in here, so we had a little bit of revenue from that. But I did it on a flyer … nothing risked, nothing gained. That was the approach. How much renovation was needed before you were comfortable opening? The renovation done by Ben (Slotky) when he opened it (in 2003) was top-notch. So we did have to modify it. We also had to take out some structure and add some protective railings and countertops. And of course the sound and light systems. Matter of fact we just invested a bunch of money in lights to get up to speed. We’ve worked hard at sound dampening of the walls. All rooms are a little ‘live,’ we were probably too live when we first opened. It’s not very hard to spend a couple hundred thousand dollars to get up and running with a music venue with sound and lights. Next couple years we’re probably going to have to some upgrades to the sound system due to the life expectancy of that product. There is no shortage of places to spend money at The Castle. It’s constant. How did you find the right mix of music or niche that would work in The Castle? My strength when I first started was what we were doing at The Whip radio station. And that was more in the Americana, blues, roots-rock format. When I first started, John Ugolini from Kickstand Productions in Chicago liked the room. When we worked with him, he brought more of an ‘indie’ vibe to shows. So we were open to working with guys on the outside that knew things we didn’t know. Jason Williams that works for us full-time in booking brought a rock knowledge to this position that we didn’t really understand. I like a lot of different kinds of music, but you really only know what you know, and can’t act like you know it all. We were fortunate to come across some guys already working in the field and were happy to be involved with us at The Castle. So you’ve evolved from an Americana/rootsy thing to a more eclectic sound? The Americana thing is a little weird. You know bluegrass blew up, but before that if you listened to bluegrass you were looked at as kind of a weirdo. These trends kind of come and go, and you want to get the bands that are hot in the genres that are kickin’. So it’s constantly evolving and you need to stay abreast of what’s happening and what people are going to see, because we need people coming through the doors. We would love to do more country than we’re doing. Country music is a different animal. We try to grab things, but a venue in Springfield specializes in that. They have a good crowd for country and the agents seem to want to be in a room that is always country and is known as a country place. That genre has been the most challenging for us, because I know we’re underserving that audience in this market. We try hard, but it’s a little tough for us right now to grab that music. 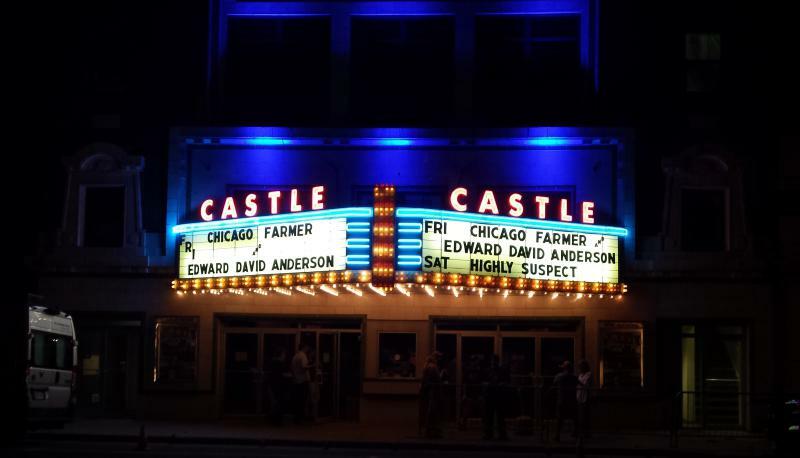 What role did The Castle play in rejuvenating the local music scene? I’m sure we’ve had some positive impact. We’d be open every night if it was possible. We try to be ‘that venue,’ but I think it takes a number of venues to be a vibrant music scene. Our room holds 800. Sometimes if you’re a new band, even if you’re talented, you have to build your audience a little bit and start from the ground up. I know Chris Golwitzer is going to open a place downtown (Nightshop, with a tentative December opening) and hopefully that can help build the music scene too. We’re good friends with Cody Diekhoff (Chicago Farmer) and Edward David Anderson, and Dan Hubbard has been a mainstay here. You know, they consider The Castle home. But it takes more than that, and a lot more people coming up. This is a town that didn’t have a club for many years, so it takes a bit of a culture shift to embrace that. I don’t think much about taking credit for anything, I’m more like, ‘What can we do to make the fan experience better?’ I always feel it’s my job, not the fans, to have an experience that is as good as possible. That’s by being a clean place that sounds good, a place that’s comfortable to see a show, and a place that’s safe. We take all those things into consideration, all the time. It’s our business so we have to be as good as we can be. Editor's note: This story has been updated to clarify the Castle Theatre's ownership. Editor's note: This story has been updated from its original version. The Castle Theatre opened in 2003, not 2006.